THE BOWL trend has officially made its way into the culinary scene and onto our tables. From piping-hot soups to nutrient-packed smoothies, some of the most comforting and creative recipes are born from the bowl. Whether you enjoy layering ingredients and fusing together flavors or just like to keep it simple and practical, this versatile dish has you covered. Cozy up this season to our bountiful list of bowls and the endless possibilities they hold. We’re firm believers that breakfast belongs in a bowl—and we’re not talking about cereal here. The Americana Super Bowl combines traditional ingredients to create a fresh, protein-packed take on the most important meal of the day. 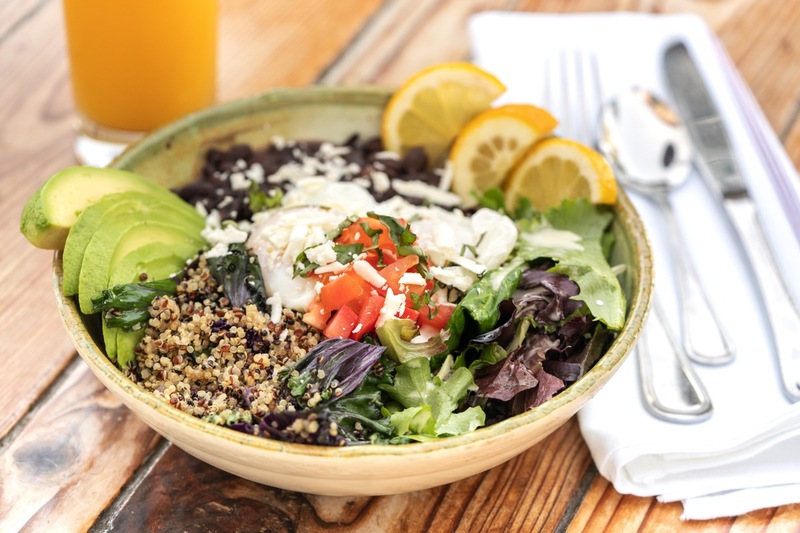 Two poached eggs, black beans, quinoa, avocado, kale, feta cheese and mixed greens make this one powerhouse of a bowl. A drizzle of lemon vinaigrette finishes things off, adding a touch of zest to your morning. From the blender to your bowl, there’s a new smoothie in town, and it’s here to shake things up. The Green Protein Bowl combines a colorful mix of spinach, kale, pineapple, mango, banana, almond milk, grass-fed whey protein—and yep, it keeps going. Topping off this creamy, nutrient-packed frozen treat are granola, fresh strawberries, bananas, cashews, coconut and honey. 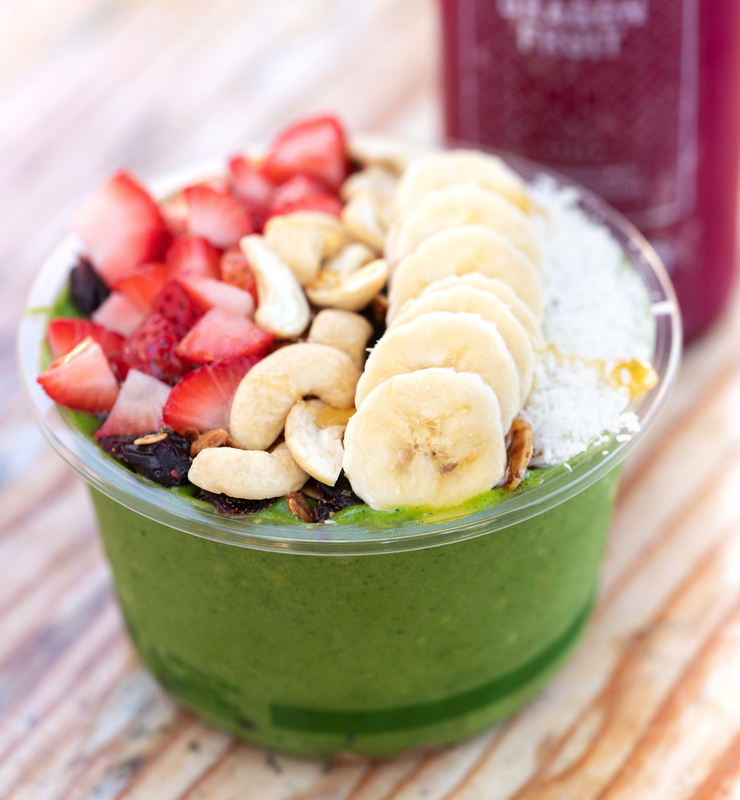 When all is said and done, this super smoothie makes a perfect bowl on-the-go. 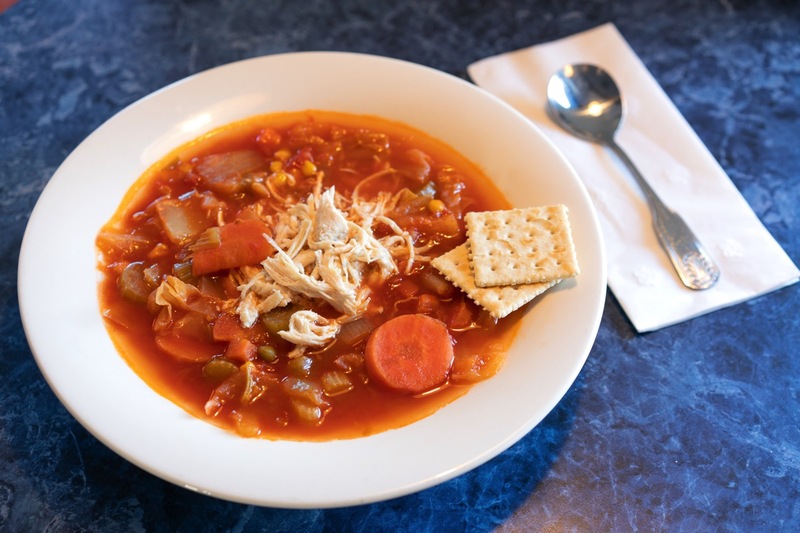 Is there anything more worthy of the bowl than Homemade Chicken Vegetable Soup? It might be the most quintessential winter dish, and it’s coming in steaming hot. A housemade savory broth sets the stage for all the essentials: onions, carrots, peas, corn, celery and, of course, tender chicken. No winter season is complete without this bowl full of soul. Which came first: the curry or the bowl? While we can’t be entirely sure, we do know one simply cannot exist without the other. The Shrimp Panang Curry is the perfect winter fusion of comfort and flavor. 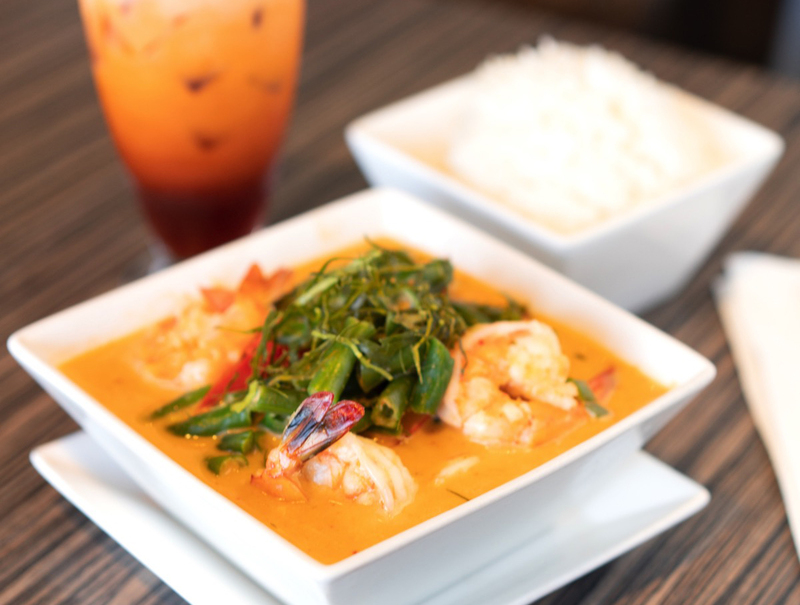 Succulent shrimp, green beans and zesty bell peppers are marinated in a sweet coconut panang curry sauce, creating a rich and balanced bowl full of creamy magic. Here’s the scoop on this scrumptious bowl. 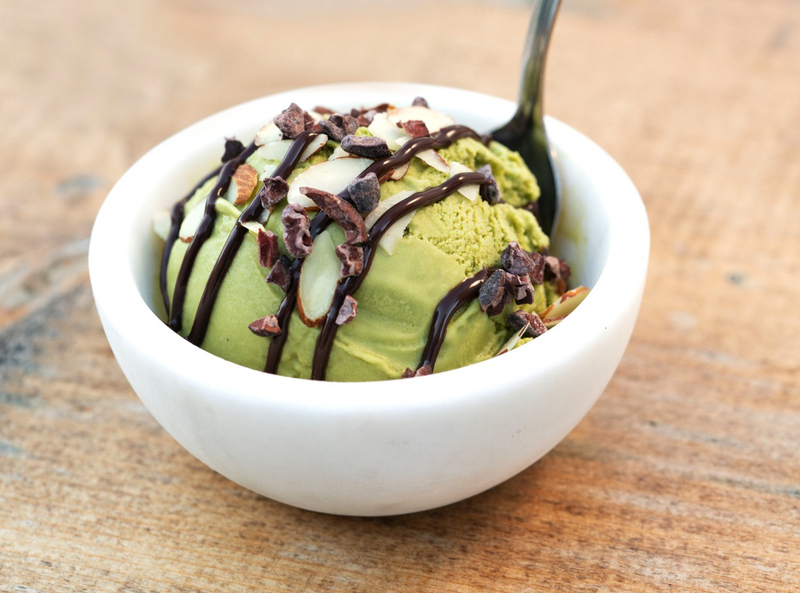 The Vegan Matcha Tea Sundae—like everything in this shop—starts with the highest quality ice cream made from all-natural ingredients. The vegan matcha tea flavor is made from raw cashew milk, coconut cream, organic cane sugar, coconut butter and authentic matcha green tea powder. It’s then topped with sliced almonds, a rich vegan chocolate sauce and crunchy cacao nibs, making all the other sundaes green with envy. So, matcha waiting for? 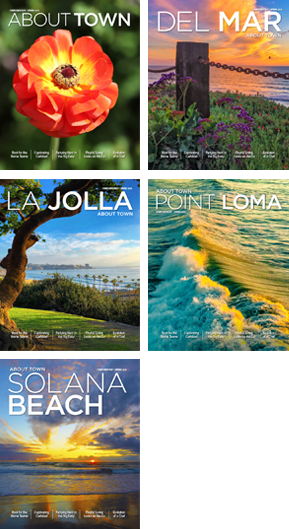 Drum roll …. for this classic bowl! Spaghetti & Meatballs is a year-round favorite, but something about this signature dish brings with it a particular sense of home during the winter months. 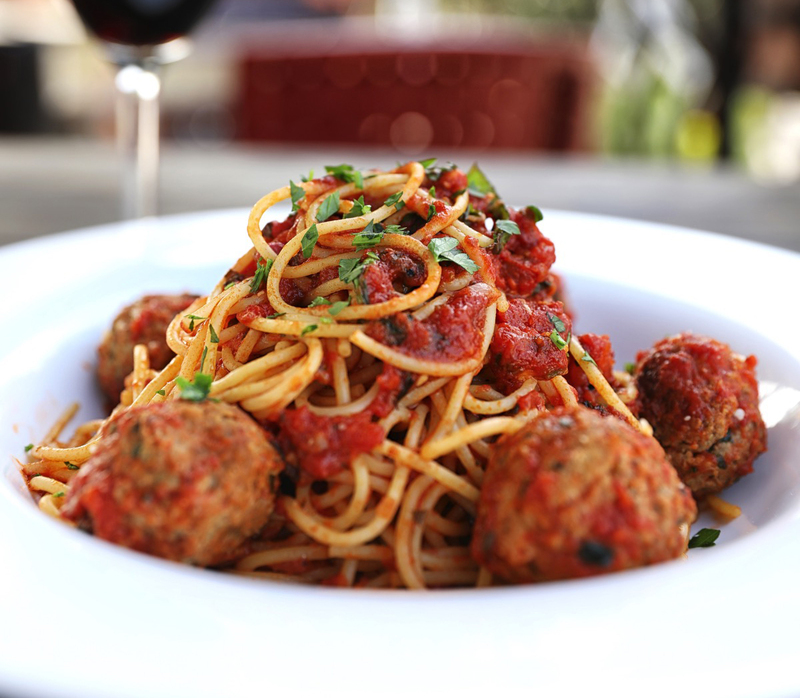 Traditional marinara sauce, made-from-scratch meatballs and perfectly-cooked spaghetti make this an Italian masterpiece. Gather ‘round friends and family as you twist and twirl your way through this essential feast! Wrap your hands around this bone-warming bowl of Italian zupa! 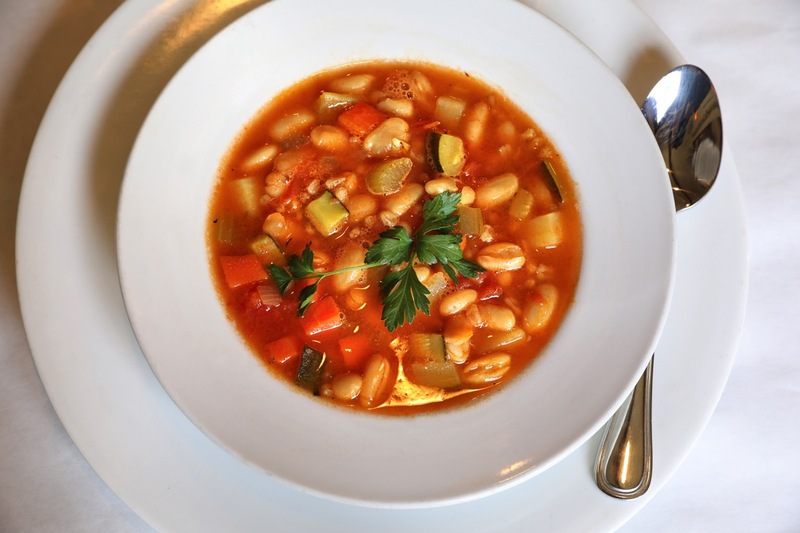 The classic Minestrone Toscano brings together an earthy mix of lentils, farro, vegetables and cannellini beans, taking your taste buds straight to central Italy. This hearty and healthy soup will nourish your body and soul all winter long. From soups and pastas to smoothies and sweets, there aren’t many needs these dishes can’t meet. Whether you’re curled up on the couch or out and about, they bring the comfort and nourishment we can’t be without. Share your favorite family-style dishes, indulge in a bowl of your own or fill it with the flavors that remind you of home!